First of all I am a Christian who has committed his life to follow Christ where ever He leads. Debbie and I are members of Gateway Baptist Church where I serve as a deacon and a small group leader. We have been happily married for 39 years with two adult children and two wonderful grandsons. Debbie and I have devoted our lives to fulfill our calling as educators with the majority of our service being in the Tipton County Schools. In total I have 34 years of experience in educating children as a teacher, football coach and High School Principal. All of my assignments have been both challenging and rewarding. I was the Principal at Munford High School from January 2002 until my retirement in July of 2013 and all decisions I made in every assignment were measured in student benefit. During my 12 years as the Principal, I was honored to lead an outstanding faculty and staff that shared our vision of educational excellence at Munford High School. I watched our outstanding teachers challenge our students to do their very best and it showed up in the student’s academic achievements that are measured in many ways. I am very proud of the fact that while I was Principal, Munford High maintained the highest academic rating from the State of Tennessee with level 5 status. 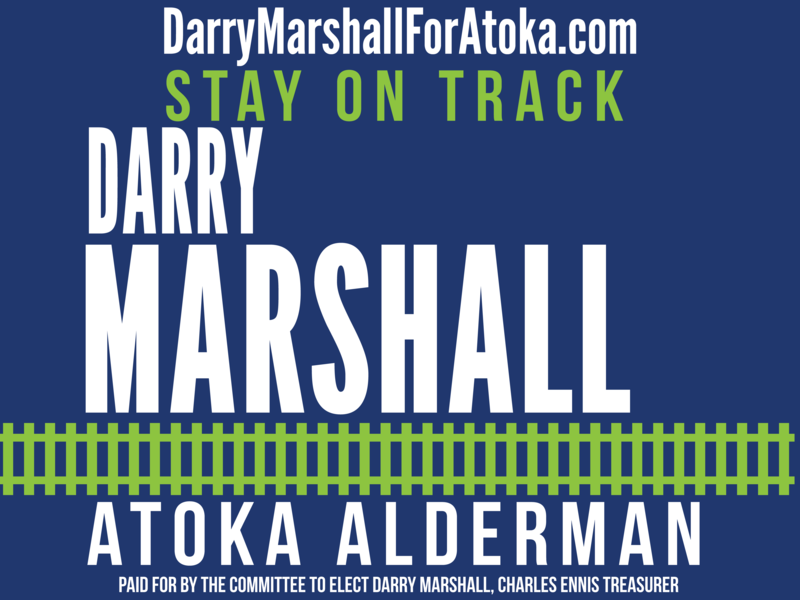 I have also served on the Atoka Planning Commission. It was this experience that sparked my interest to get involved in our community government. As a member of the Planning Commission, we fought hard for better subdivisions. I’m proud to be a part of the commission that changed the rules for any new development in our city. Instead of ditches and over ground utility service, the new standard requires new subdivisions to develop proper drainage with gutters, sidewalks and underground utilities. I am very happy to witness these changes taking place in the new residential developments in town. Why should you place your trust in me and elect me to the school board?